Highland Park offers a diverse collection of real estate that features both contemporary and historic homes. 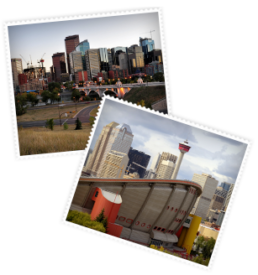 A convenient location paired with quiet living creates a peaceful neighbourhood perfect for Calgary’s modern families. Many people choose to live in Highland Park homes because of the area’s mature trees, ample yard space, and attractive houses. Many of Highland Park’s homes have been built within the past decade, and boast the gorgeous architectural features and stonework found in modern homes. Older houses, usually made in the early 1930s through late 1950s, can also be located in the area, and tend to feature practical floor plans, unique design styles, and enjoyable family living. Find your dream home with the Highland Park property listings below or learn more about family homes in Highland Park! Highland Park houses offer a pleasant neighbourhood feel. Tree-lined yards and sidewalks on every street make it easy to take a leisurely stroll. Homes in Highland Park tend to feature front yards with ample space to play or garden, while a network of backyard alleys allows homeowners additional yard space for parking, sheds, and more. Queens Park Village can be found within the southeast portion of Highland Park, which features many condos and apartment-style buildings. Queens Park Village is an excellent opportunity for individuals considering an investment property, due to a high rental pool in the area. Kevin Niefer & team will be happy to tell you more about Highland Park homes and help you find the perfect property for your needs. Connect with the Calgary Real Estate Advantage team online or call 403-968-1496 to learn more!